We sought to design and implement a rigorous assessment of image acquisition and interpretation in POC US in a cohort of graduating residents at our institution. The objective of this educational advance is to promote scholarly productivity as a template for others to follow. Correlation of the National Board of Medical Examiners Emergency Medicine Advanced Clinical Examination Given in July to Intern American Board of Emergency Medicine in-training Examination Scores: A Predictor of Performance? Hiller, MD, MPH, et al. The primary objective of this study was to determine the correlation of the NBME EM-ACE, given early in residency, with the EM ITE. 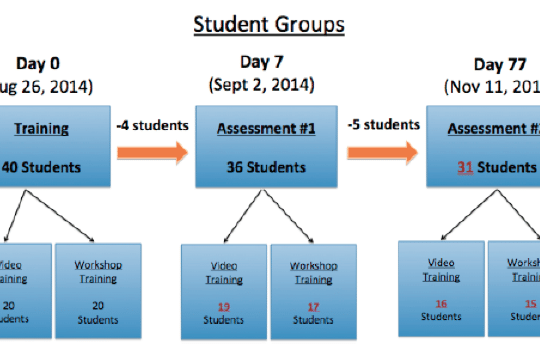 We sought to determine if participation in a social media-based educational supplement would improve student performance on a test of clinical images at the end of the semester. Volume 16, Issue 6, November 2015. Jeffrey N. Love, MD, et al. patients and perhaps learners in clinical practice. Emergency medicine (EM) has always been on the frontlines of healthcare in the United States. Emily L. Aaronson, MD, et al. 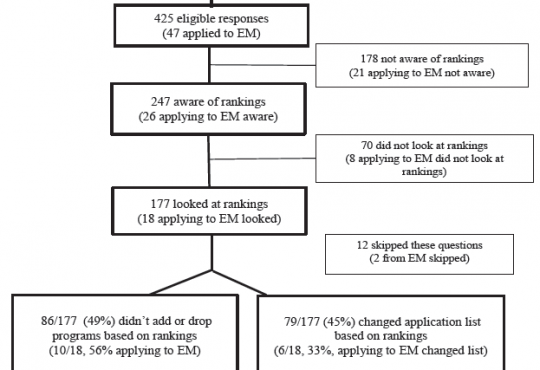 cultures in the M+Ms of U.S. emergency medicine (EM) residency programs. Research & Quality Safety Culture survey. programs report regular debriefing with residents who have had their cases presented. related to patient safety culture in residency programs. Suzanne Bentley, MD, MPH, et al. on didactics call for development and inclusion of novel educational strategies, such as simulation. and confidence with image interpretation and acquisition before and after this educational activity. were scored via objective structured clinical examination (OSCE) with critical action checklist. differences were demonstrated between groups trained on human models versus simulator. for ultrasound education. Additional uses of ultrasound simulation should be explored in the future. Moira Flanigan, BA, et al. identified the same major themes. Aaron W. Bernard, MD, et al. related to overall visit and the treating physician’s performance. and other independent variables known to affect PG scores. 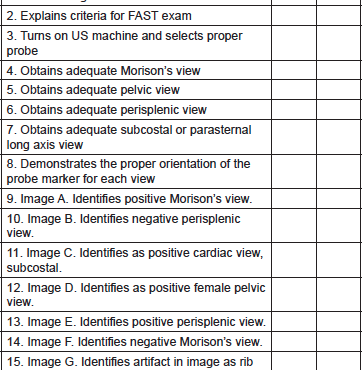 each ED was analyzed individually. 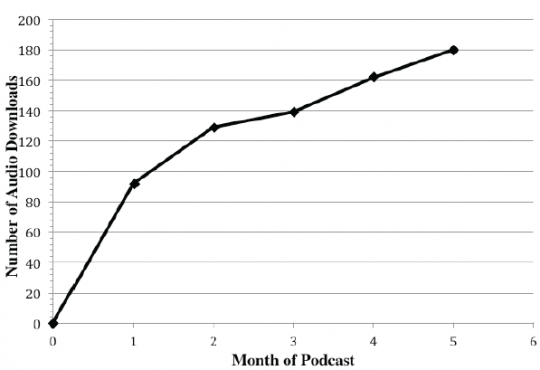 What is the Prevalence and Success of Remediation of Emergency Medicine Residents? and professionalism (31.5%). 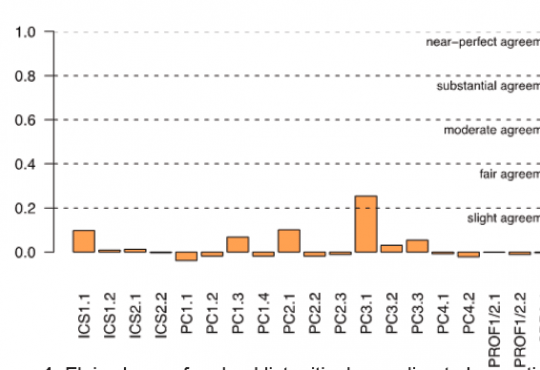 Mean length of remediation was eight months (range 1-36 months). Keme Carter, MD, et al. levels that can be implemented as a longitudinal curriculum. 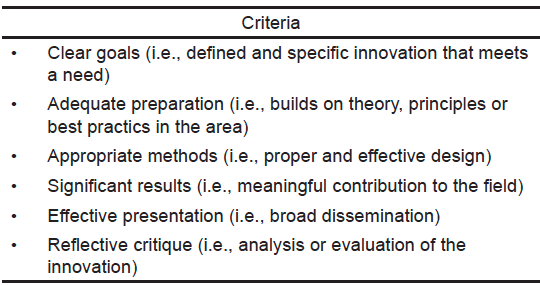 cohort was assessed using two assessment tools, the Global Rating Scale and the 5 Cs Checklist. 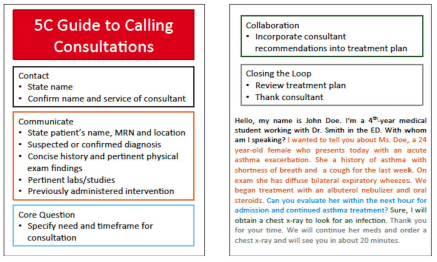 all) and included more necessary items in simulated consultations (62% vs. 77%, p<0.001). Corey Heitz, MD, et al. Introduction: Linking educational objectives and clinical learning during clerkships can be difficult. directed to standardize their clinical experiences, and this improves performance on examinations. 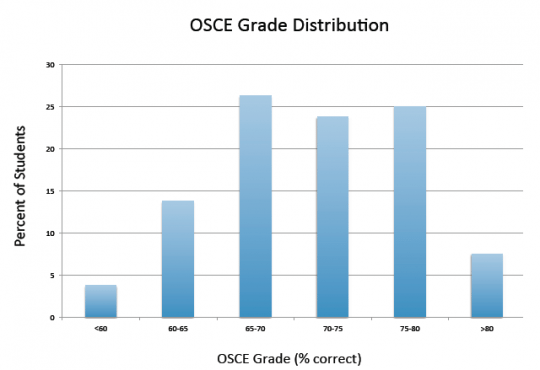 performance on multiple-choice testing when compared to standard learning. willingness of preceptors to allow a chief-complaint focus. (3.48/5). Almost one third (31.1%) of students stated that they were unable to adhere to the protocol. learning as well as clinical experiences, and consider alternate measures of knowledge. Ambrose H. Wong, MD, et al. implementation stages using a survey-based study design. (MAVAS) consisting of 30 Likert-scale questions grouped into four themed constructs. welcomed the interaction with SPs during their training. improving multiple facets of ED staff attitudes toward behavioral emergency care. Sharon Bord, MD, et al. Meghan Schott, MD, et al. validity evidence to the EM milestones by demonstrating their accurate measurement. Fleiss’ kappa and interclass correlations. scales with anchors, and the second reflected a current trend of a checklist response system. of each of the items measured on both versions of the CDOT was near zero. 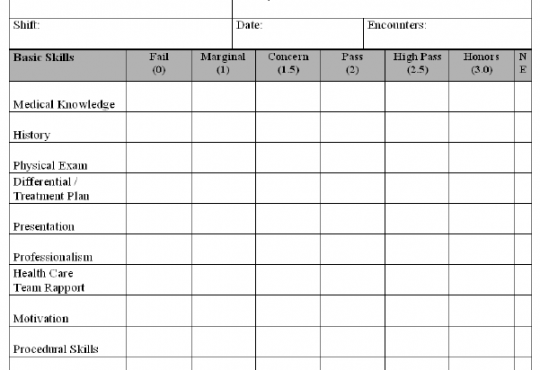 milestone assessment tools that are currently in use. Andrew Lichtenheld, BS, et al. students may optimally engage this target audience. Fiona E. Gallahue, MD, et al. training. 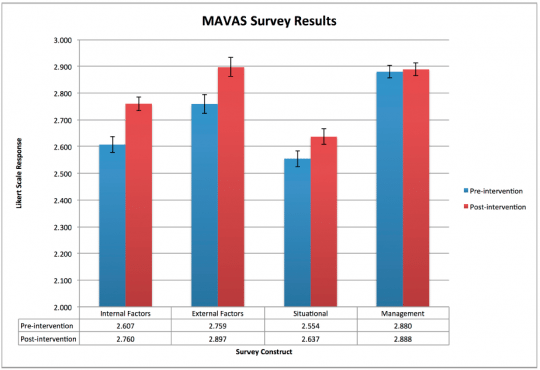 This survey study was guided by the Kern model for medical curriculum development. programs reported that EM residents were not routinely evaluated on their discharge proficiency. residents on their discharge proficiency. Kim L. Askew, MD, et al. value for the final clerkship grade. of the 10 items on the evaluation form. CI95=0.63–0.76 for the full and reduced models respectively). to measure greater than four components. Aimee M. Rolston, MD, MS, et al. statistics were reported for all students and those applying to Emergency Medicine (EM). the rankings and 33% changed their application list with most adding programs. Christopher Kiefer, MD, et al. students on patient satisfaction in two university-affiliated community emergency departments (EDs). 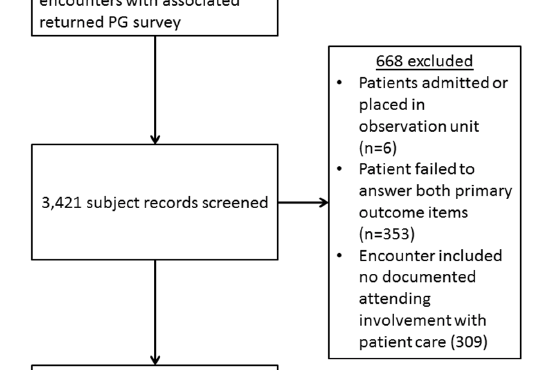 introduction of medical students when all patients were analyzed (60.3% to 68.2%, p=0.038). significant positive effect on the overall rating of the ED at one of the two clinical sites studied. settings outside of a single health system. Diane L. Gorgas, MD, et al. educational intervention with emergency medicine (EM) residents. focused on improving the skill of social perspective taking (SPT), a skill related to social awareness. 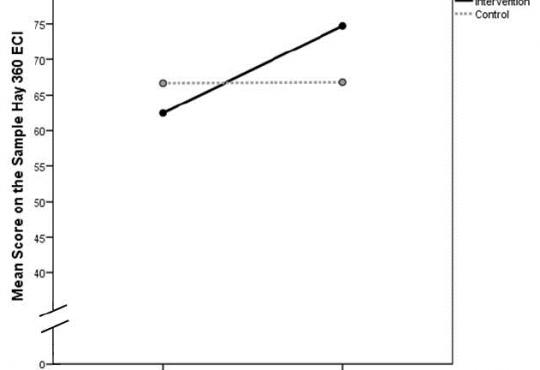 six-months post training (follow up); and at two time points for the control group: pre- and follow up. Gender x Program Year over Time. We also completed post-hoc tests. to 66.1%, p=0.77). We observed no main effects involving gender or level of training. Suzanne L. Strom, MD, et al. knowledge that compare simulation examination scores with written test scores for ACLS courses. traditional written testing for senior medical students in an ACLS course. were tested on a standard acute coronary syndrome/ventricular fibrillation cardiac arrest scenario. was comparison of simulation-based vs. written outcome scores. How Does Emergency Department Crowding Affect Medical Student Test Scores and Clerkship Evaluations? Grant Wei, MD, et al. 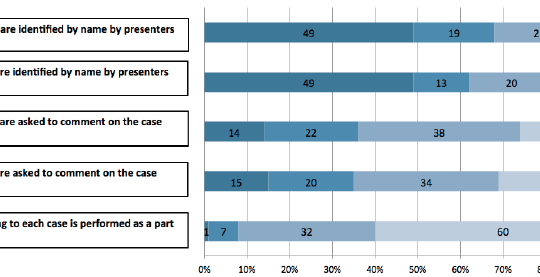 crowding and resident perception of quality of medical education. experiences during emergency medicine (EM) clerkship rotations. rotation evaluation attained significant correlation with the NEDOCS score (p≥0.34 in all cases).